I just love being at Chad’s. One evening I asked Chad; Wouldn’t it be cool to build one of those Avatar gunships? Chads reply: Yes, lets build one now. As I usually do when I build stuff, I took pictures. 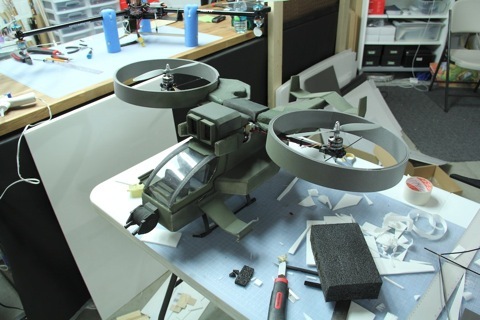 Here is the build log for all of you that want to see how we built the Avatar Scorpion Gunship.